If you’re thinking about taking a women’s clinic, you’re in luck; there are plenty to choose from. They’ve pretty much become a staple in resort ski school offerings. Why? Well, a lot of women prefer learning in a testosterone-free environment. 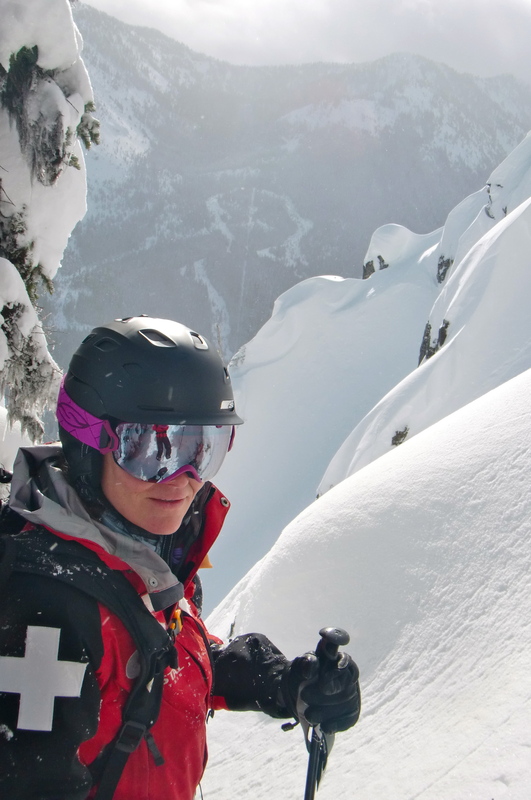 Women’s clinics focus on building skills and confidence while providing the camaraderie that comes from skiing in a group of women and working with skilled female instructors. Research actually shows that women are more supportive and men more competitive in a learning situation. And this can carry over to the ski hill, too. • I go every year to at least one of the women’s clinics they have at my local resort. They are fun and it’s great to learn some new tips and have a blast skiing with other women. 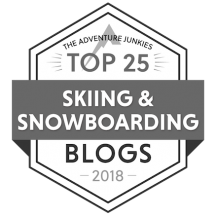 I like them because they are just a supportive group of skiers and each one of us encourages everyone throughout the lesson – something I certainly don’t get in other types of lessons. • I have taken both co-ed and women only clinics. I prefer the women only because I feel that with other women the atmosphere is supportive and not so competitive. Every time I’ve been in a co-ed class, there’s been one guy who thinks he knows more than the instructor. Then the whole goal of the class changes to a competition between the two and I get lost. In co-ed classes I’ve been subjected to feedback from a guy in the class when I prefer to get my feedback from the instructor. The pace in a womens-only clinic meets my needs, too. We stop for bathroom breaks as needed and to get warm if it’s really cold. Other women share what they think I’m doing well, not what I’m doing poorly. They encourage me to take steps outside my comfort zone but don’t slam me if I should choose not to take that step. And I laugh more on the lifts. • I opted for the women-only because it was the only clinic offered in my area. It turned out to be really fantastic. One of my instructors was very focused on the difference in the center of gravity between men and women, so the main reason I went to the clinic the first time was to hear more on that subject. The best thing about them — I’ve done two — was meeting new ski buddies. I met two wonderful ladies that I’ve stayed in touch with though we haven’t been able to coordinate skiing again yet. There really wasn’t anything I disliked, other than I wished more folks were signed up. I agree with the other posters — there is a relaxed vibe, we have a great time, we can kvetch about skiing at “that time of the month,” etc. Plus the clinic organizer makes the most awesome goodie bags ever. She sent me one while I was recovering from breast cancer surgery (she is also a survivor) that blew me away. Again, that made-a-new-friend thing…love it. SheSkis Women’s Clinic, Powder Mountain, UT: Tuesday mornings. Contact resort for dates. Some insight into why more women don’t ski. 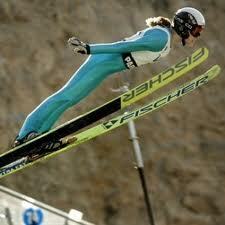 Join the Journey for Women’s Ski Jumping. Wendy, Excellent article and information. I’d like to add another wonderful program to the list you provided. I know a number of woman who have said amazing things about the Ladies Clinic at Sun Peaks Resort. Thanks for including the Wildflower Retreats. It would be awesome to add the local women’s program at Snowbasin too, known as Snow Divas. Instruction by Women for Women. 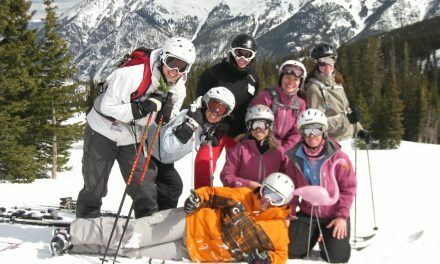 Snow Divas workshops provide customized coaching for women of all abilities in a relaxed atmosphere. The program is designed to build skills as well as the confidence to ensure a great experience skiing/snowboarding any run on the mountain. Divas on Snow enjoy early gondola access with 1 hour of on-mountain time prior to the public each day of their session as well as priority lift line access. Nice article. Here is another Downhill Divas @ Lookout Pass Ski Area in ID. I ski on the East Coast. 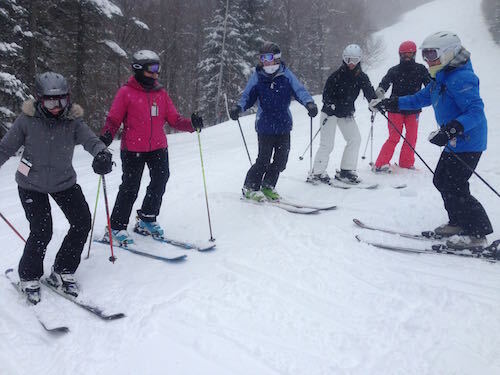 Jack Frost resort, in Blakeslee, PA holds a wonderful women’s program every Tuesday for all ski levels. The clinics are free with paid lift ticket.